Good news for iPod Touch users not having iPhone, The company behind Textfree app for the iPhone and iPod Touch that gives users free text messaging - Pinger - will give iPod Touch users the ability to make free VOIP calls. Textfree with Voice will include free voice services over 3G and WiFi. The new service will drastically alter traditional fee structures for mobile phones by monetizing text and voice traffic with advertising. Already profitable, Pinger is in partnership with leading mobile advertising networks including Google, Admob, Quattro Wireless, and Millennial Media, and plans to fully support Apple’s recently announced iAd platform. 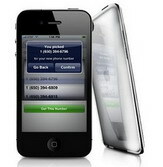 0 comments on "Pinger brings free VOIP calling to Apple iPod Touch"